How Harivansh won The call from the PM is what made all the difference: JD-U’s Harivansh Narayan Singh won the Rajya Sabha deputy chair’s post hands down. 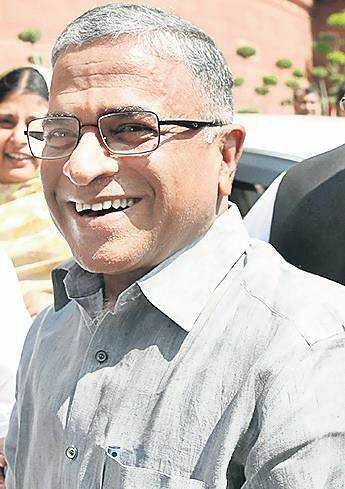 How Harivansh won The call from the PM is what made all the difference: JD-U’s Harivansh Narayan Singh won the Rajya Sabha deputy chair’s post hands down. But was the post first offered to the BJD? Well, so it seems. Naveen Patnaik showed no interest, but made it clear that the BJD can neither support a BJP nor a Congress candidate. The JD-U’s Harivansh was strategically chosen thereafter. The other factor that favoured low-key Harivansh was his closeness to both CM Nitish Kumar and PM Narendra Modi, which he never flaunts. Akali Dal’s Naresh Gujarl lost out in the race because he’s not known to keep quiet. When Arun Jaitley broached the topic with Gujral a few months ago, the latter had not only put on an air: “Only if I’m a consensus candidate”, he gaffed about it! Now the latest whisper is, Dharmendra Pradhan, whose Odisha ambition is not really hidden, is the next collateral damage. The other Hari “The chessboard was set 15 days ago” is how a top Congress leader put it, after the defeat of BK Hariprasad. An OBC leader from Karnataka, Hariprasad, as a devoted Congressman, got ready to face the contest knowing full well the numbers were not on his side. That’s the reason Sharad Pawar refused to lend a NCP candidate and Didi did little else other than pledging the TMC votes. What especially came an as unkind cut for BK Hariprasad was the PM’s dig at his name, implying money play. For someone who always stood out for his simple down-to-earth ways, like self-driving a small Maruti car throughout the UPA rule, distributing every box of sweets or chocolates that landed in his office, it caused discomfort, shared even in the treasury benches. Parliamentary Affairs Minister Ananth Kumar, also from Karnataka, was seen exchanging a nervous glance with a fellow colleague. Rajya Sabha chairman Venkaiah Naidu therefore did not need persuasion to expunge ‘the North Indian pun on a South Indian name’. 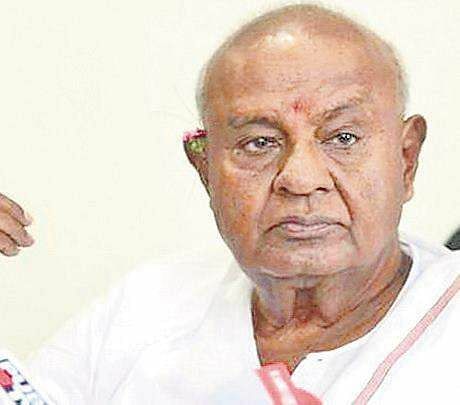 Deve Gowda’s stand President Ram Nath Kovind is a stickler for rules, some of them formulated by his secretariat in keeping with his predilection. President Kovind, for instance, has done away with the practice of the Rashtrapati Bhawan forecourt doubling up as a platform for the Opposition. He also does not meet an Opposition delegation numbering more than 11, and never for more than halfan- hour. So, when Opposition leaders landed up with a memorandum on the Assam NRC issue, he heard them out patiently, but within the parameters set by him. Kovind, however, was in for a surprise when former PM Deve Gowda insisted on standing on his own rules—which is “not taking a seat while talking to the President of India”! Azad’s son’s wedding Veteran Congress leader Ghulam Nabi Azad’s son Saddam Nabi Azad recently got married to well-known haute couture designer Gauri Karan (of the Gauri-Nainika fashion duo) in a quiet gathering of just friends and family, away from the media glare. Azad, too busy managing parliamentary politics from the Opposition end, had little time to organise a do, and has been calling guests in small batches for a delectable treat of Kashmiri wazwan. Since he personally asked his guests not to reveal the dinner invite to anyone, many landed up without realizing it was a wedding treat!